I haven’t managed to take too many photos in Singapore this time, which is quite unlike my usual self. I’ll blame it on the tight schedule where I practically had to run from appointments to errands to family dinners. Not surprisingly, the few I have are all of food, heh. 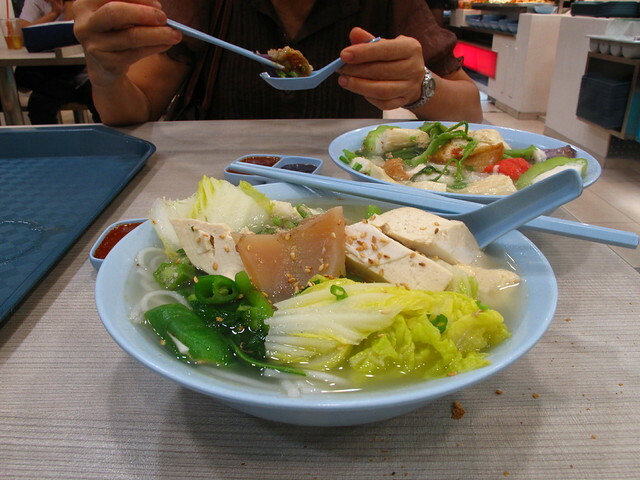 Think I ate yong tau foo about three times in the span of one week, this was my first bowl with mommy at her favorite stall. 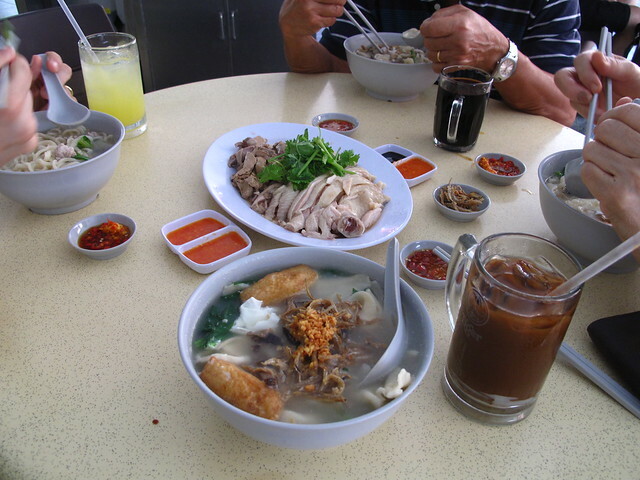 I don’t think I can ever get sick of yong tau foo, I would eat it everyday if I could. 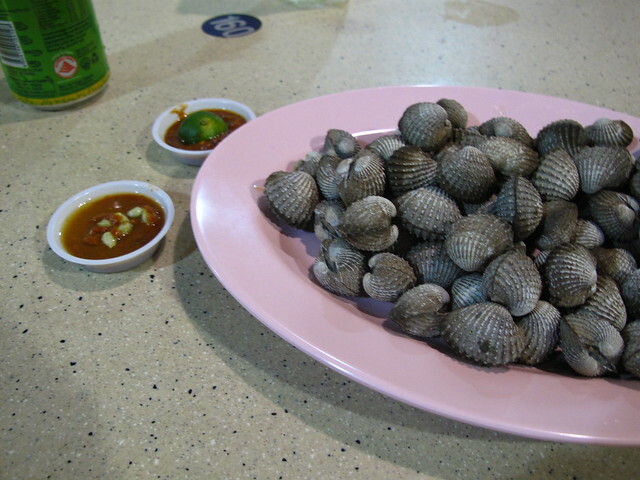 Feasting at the family’s favorite hawker centre in Bedok (not Blk 85), about a 10-15 minute walk from home. 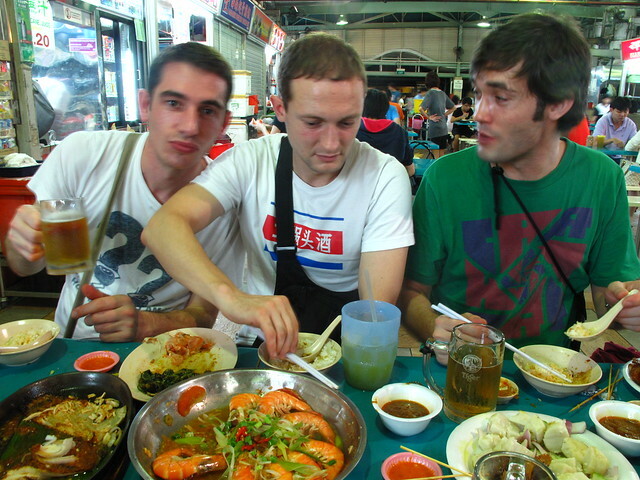 Delicious BBQ stingray, satay, steamed prawns, BBQ chicken wings, even kuay chap if we want… what more can we ask for ? A little snack while waiting for my family to arrive at Blk 85, my hawker centre of choice for meet ups with friends. Sorry #4, will make it up to you next or next, next time ! 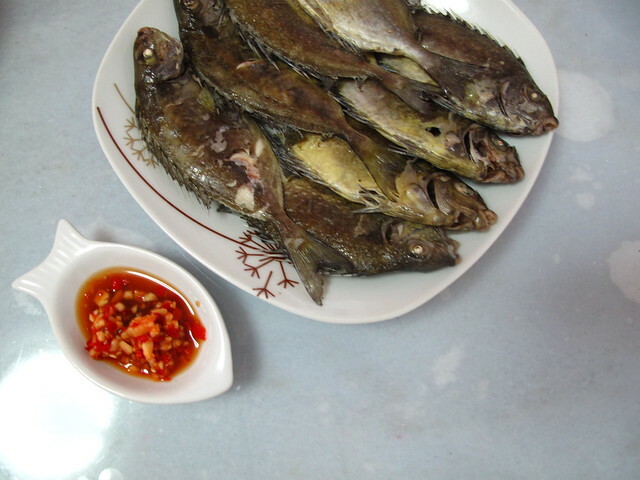 Steamed rabbit fish (or peh dou he, as we Teochews call it) doesn’t look very appetizing but trust me it is, especially with a dip of roughly chopped garlic, chilli, ginger, light soy sauce and a dash of lime. Comfort food that goes best with porridge or rice. Not greedy (ok maybe a little) but this is what happens when you don’t have time for two separate meals of Hainanese chicken rice and mee hoon kueh. I’ve yet to come across well-made chicken rice chilli dips in Hong Kong that pack a fiery punch even though it’s relatively easier to find chicken rice there (than in Shanghai). Sigh ! Anyway, rabbit fish go go go! 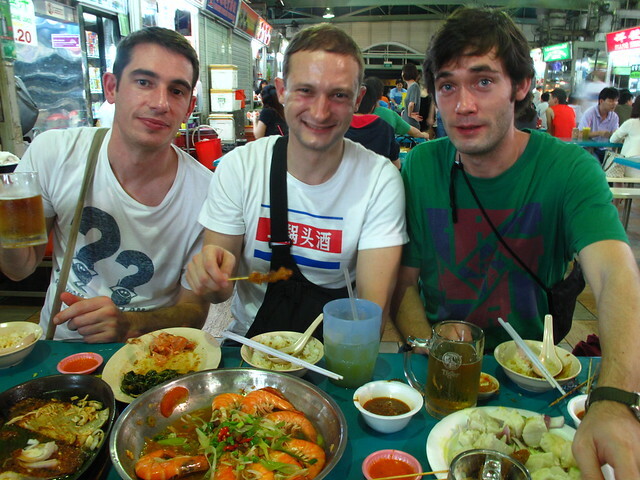 tommy – Ah no, it’s Blk 511… and yes, yay for rabbit fish ! Wonder if I can find some in Hong Kong.